The books will be released in October. 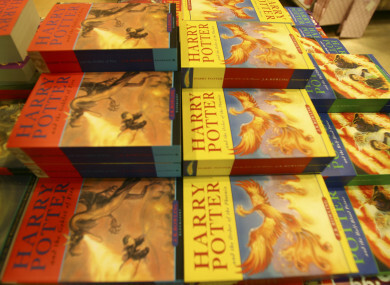 TWO NEW BOOKS from the Harry Potter universe are set to be released later this year. The books are not novels based on the life of the eponymous character but are instead designed to give fans a greater understanding of the world created by JK Rowling. The first is called Harry Potter – A History of Magic and is a collaboration between Rowling, publisher Bloomsbury and the British Library. The book, which is to be released in October, will focus on the subjects taught in the fictional magic school of Hogwarts. It promises to take readers on a fascinating journey through the subjects studied at Hogwarts School of Witchcraft and Wizardry – from Alchemy and Potions classes through to Herbology and Care of Magical Creatures. The second book will be called Harry Potter – A Journey Through the History of Magic and it will be include unseen sketches and manuscript pages from Rowling as well as illustrations and artefacts. Both books will be released to coincide with the British Library’s Harry Potter exhibition, “A History of Magic,” which opens in October and runs through February 2018. Email “Two new Harry Potter books to be published this year”. Feedback on “Two new Harry Potter books to be published this year”.